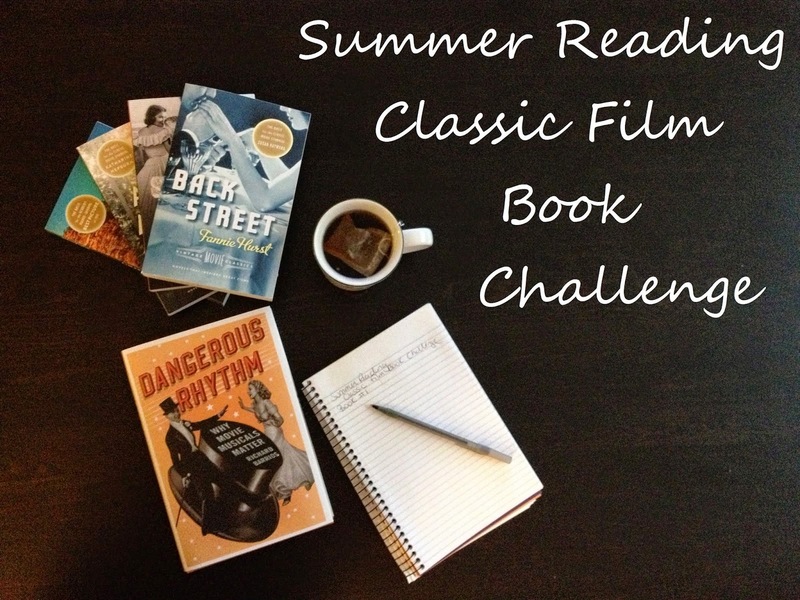 Raquel of Out of the Past - A Classic Film Blog is once again hosting a classic film book summer reading challenge. I missed out last year, but I thought if I participated in the challenge this year, it would be the kick in the pants I need to get caught up on some books that I've been putting off reading. The goal is to read six classic film related books by the end of summer. If you participate in the challenge you are also eligible to win a prize. Full details can be found at her blog here. First up is Welcome Foolish Mortals...The Life and Voices of Paul Frees by Ben Ohmart. 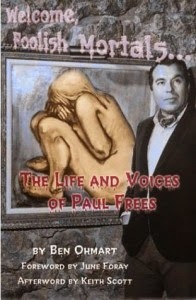 I've always been fascinated by the many voices of actor, artist and foremost voice talent, Paul Frees. I know his voice well from Disney's Ludwig Von Drake or the Haunted Mansion ride's "Ghost Host," the Pillsbury Doughboy, and from impersonating everyone from Orson Welles to Peter Lorre; but I never knew much about his personal story. There has since been a revised edition of this book but a friend had already given me a copy of the first edition. 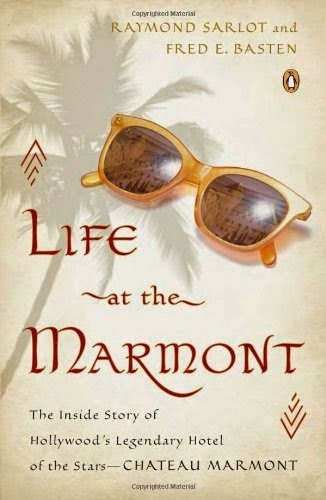 Next is Life at the Marmont: The Inside Story of Hollywood's Legendary Hotel of the Stars--Chateau Marmont by Raymond Sarlot and Fred E. Basten. I had the opportunity to attend a private party and crash in one of the hotel's suites a few years ago. It's an amazing hotel that just feels old Hollywood. I've been waiting to dig into this book to find out more of the hotel's storied past. What would Hollywood be without a few wild guys around? 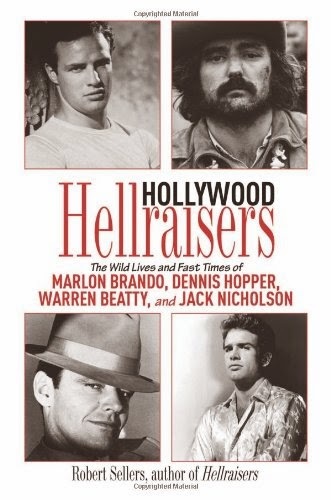 Hollywood Hellraisers: The Wild Lives and Fast Times of Marlon Brando, Dennis Hopper, Warren Beatty, and Jack Nicholson by Robert Sellers is next on my list. 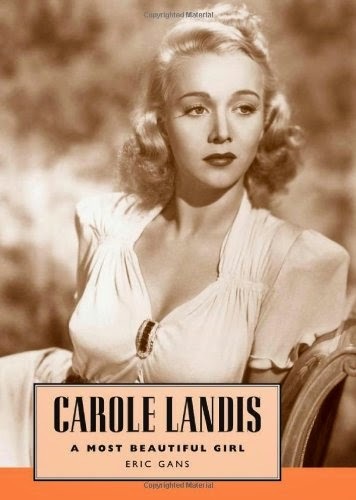 Carole Landis is one of Hollywood's tragic characters so I'm curious about this book, Carole Landis: A Most Beautiful Girl by Eric Gans. 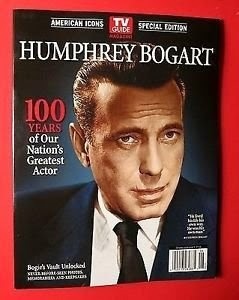 Next is Humphrey Bogart from TV Guide's American Icons series. This isn't really a book but it's more than just a magazine. Flipping through the pages I'm already attracted to the many stunning images of Bogart and intrigued by the different articles on his life. One of my favorite actors from early Hollywood is Glenn Ford. The guy just seemed so cool, especially in all those film noirs. 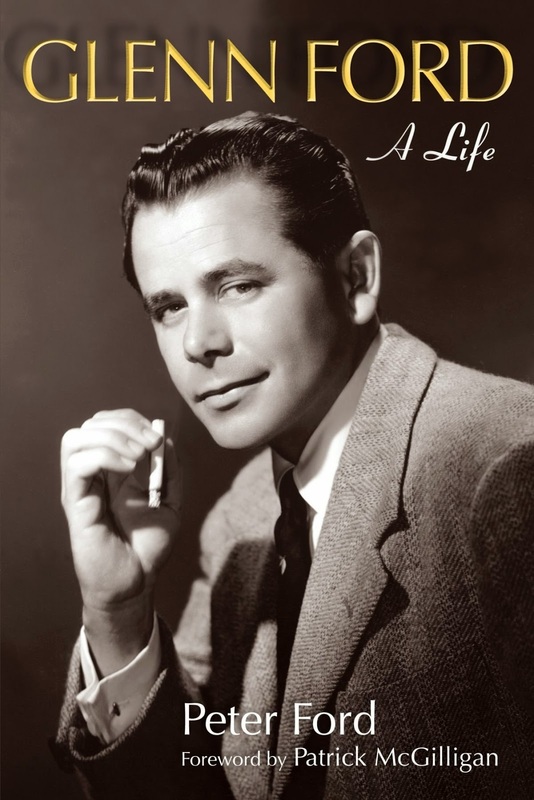 Last on my list is Glenn Ford: A Life by Peter Ford. If you would like to participate in the summer reading challenge head on over to Out of the Past to fill out a form and get the full scoop. I'll be publishing my reviews of the above books throughout the summer. 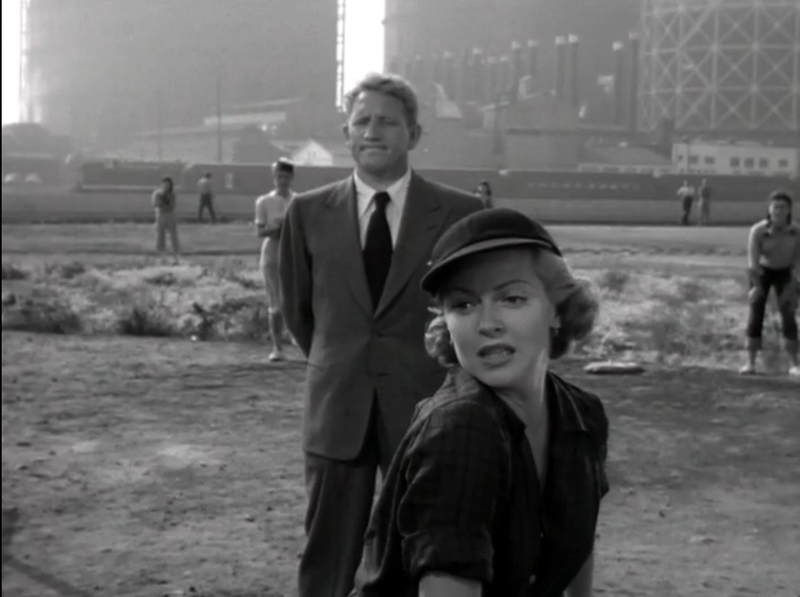 In the film version of Sinclair Lewis's story, Cass Timberlane (1947), Spencer Tracy plays the title character, a judge who falls for a younger woman (Lana Turner) from the "wrong side of the tracks." 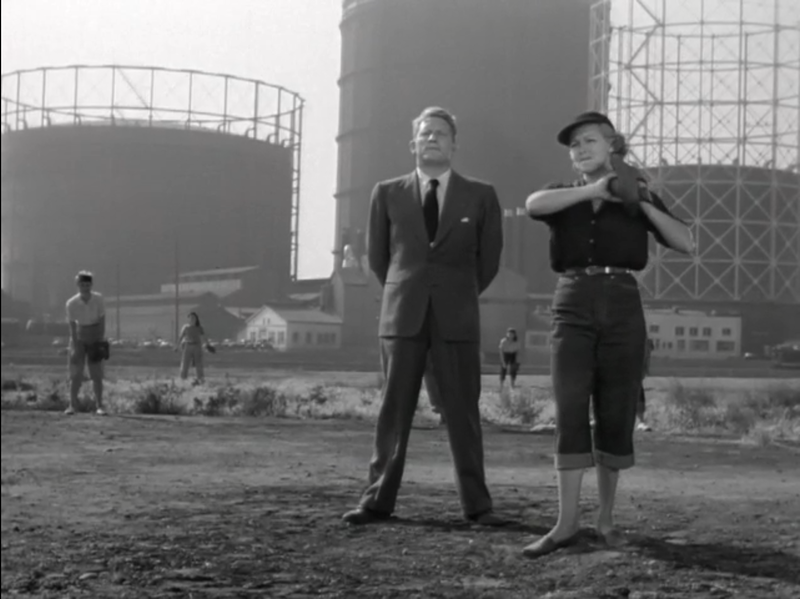 Although the story for Cass Timberlane is set in a small Minnesotan town, filming actually took place in California, around Los Angeles and the MGM Studios backlot in Culver City. Early in the film, when Tracy first meets Turner, he literally crosses the railroad tracks but they are a long way off from Minnesota. 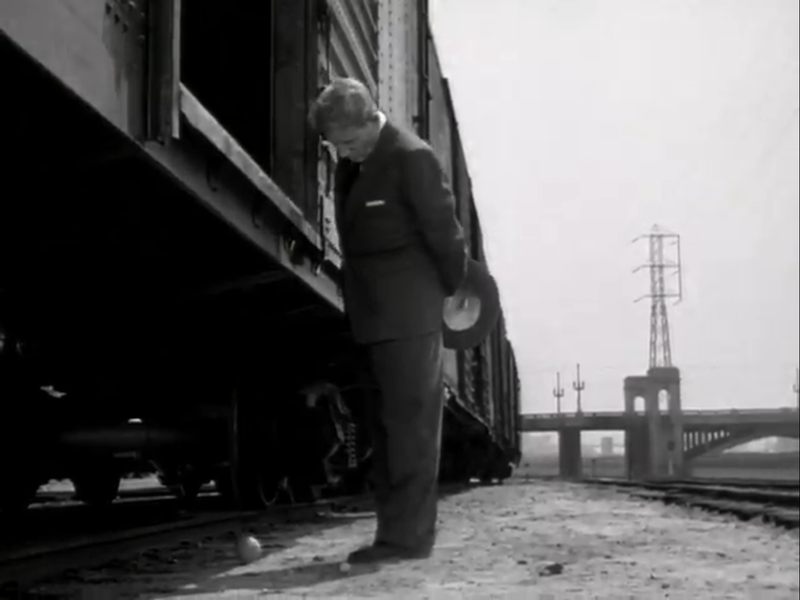 In the scene below Tracy sees a baseball roll from underneath a railroad car. 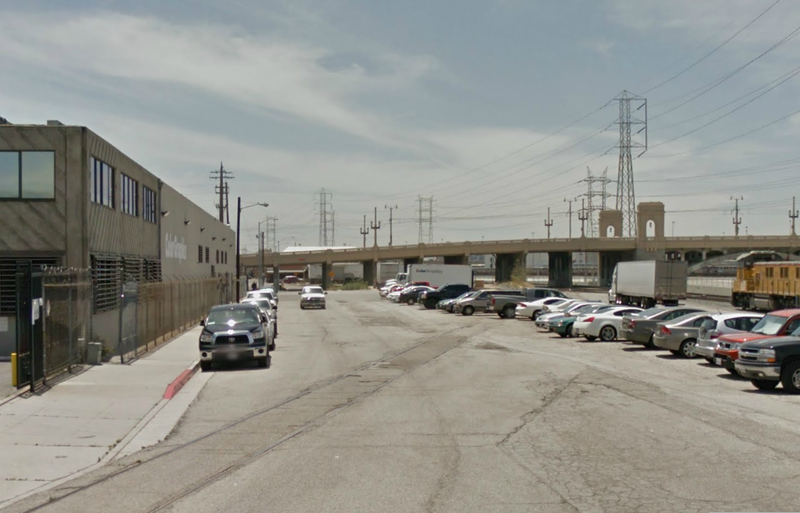 Tracy is standing near Myers Street, just north of the 1st Street bridge in downtown Los Angeles. Tracy stands on N. Myers St near the 1st Street bridge. Looking toward the 1st Street bridge from N. Myers St.
Tracy joins the action of a baseball game taking place in a parcel of land north of the 1st Street Bridge and east of the Los Angeles River. Naturally, being a judge, Tracy acts as the umpire. 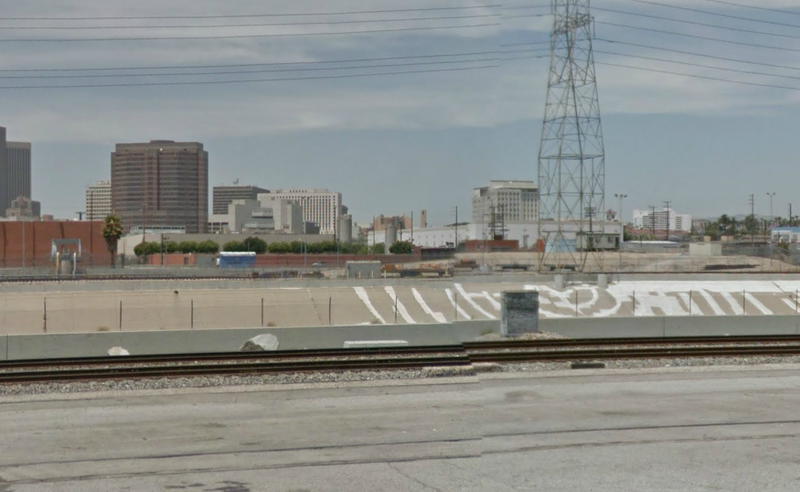 While Tracy stands next to Turner near the pitching mound, we get a view of the Southern California Gas Company tanks that once stood near Jackson Street and Center Street, just across the LA River. These recognizable structures appeared in quite a few early films before they were razed, and were particularly popular in film noirs. Tracy and Turner with the The Southern California Gas Company tanks in the background. Looking across L.A. River towards Jackson Street. The gas tanks have since been razed. A closer view of the tanks that stood near Jackson St. and Center St.
Spencer Tracy's home in Cass Timberlane was one of the homes originally built for the popular Vincente Minnelli film Meet Me in St. Louis (1945) starring Judy Garland. 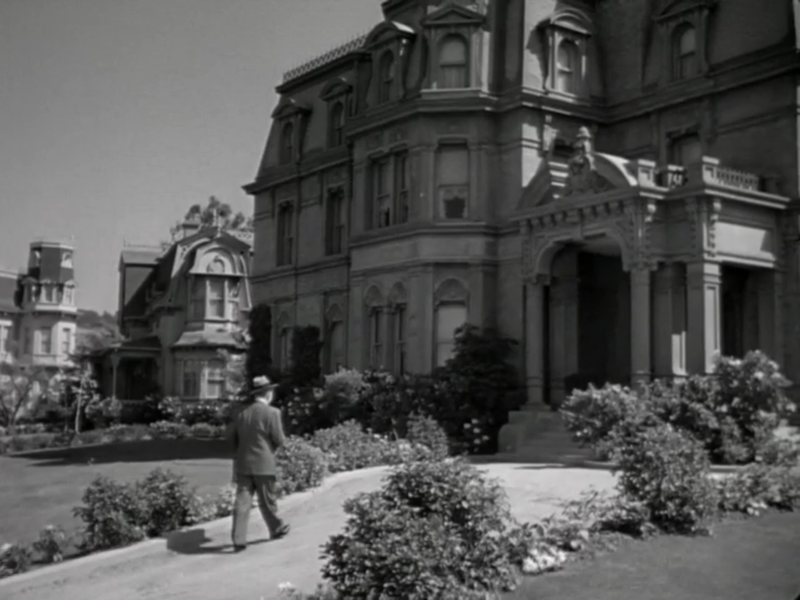 For Meet Me In St. Louis, Minnelli insisted that MGM construct an entire street of Victorian homes rather than dress an existing set, which would have been much cheaper. The sets remained well after Minnelli's film, getting their fair share of screen time. Tracy would not only work on this St. Louis Street backlot for Cass Timberlane, but also in the film The Sea of Grass which came out the same year. Tracy walks home, one of homes on MGM's St. Louis Street backlot. 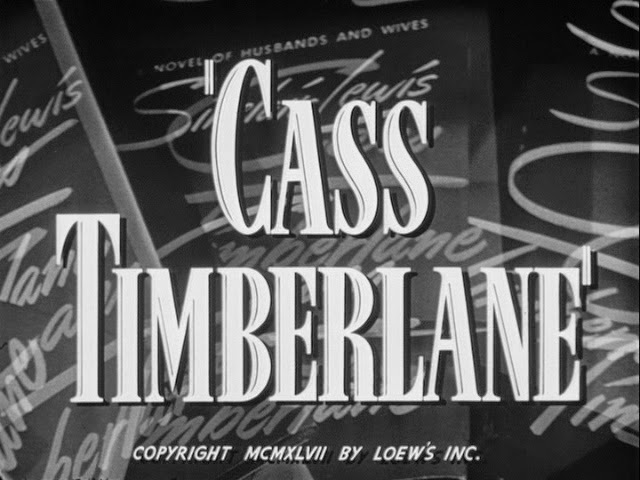 Cass Timberlane is available on DVD through the Warner Archive Collection, it can be rented through ClassicFlix, and is currently available for streaming on the Warner Archive Instant service. 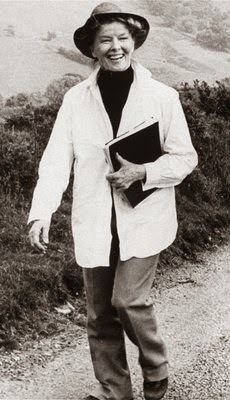 Hepburn hiking country road during break from filming in London. Katharine Hepburn was always athletic. At an early age, while growing up in Hartford, Connecticut, Hepburn's father, a doctor, encouraged his kids to swim, play tennis, ride horses and golf. Swimming was an activity that Hepburn was particularly fond of and she would continue to swim regularly even into her 80s. Another activity that Hepburn enjoyed doing for exercise was hiking and during her time living in Los Angeles, one of her favorite hiking spots was by the Franklin Canyon Reservoir. Franklin Canyon Lake at Franklin Canyon Reservoir. Source. Located just below Mulholland Drive, west of Coldwater Canyon and near Beverly Hills and Studio City, Franklin Canyon Reservoir feels like an escape from the city. No wonder why Hepburn, someone who enjoyed her privacy, liked hiking this spot. Without ever having visited the canyon, you may recognize the location from numerous appearances on film and television. Shows like Bonanza, The Waltons, Lassie, Murder She Wrote and Combat have filmed scenes here. During the opening credits of each episode of The Andy Griffith Show one can see Griffith and little Ron Howard walking around the 3-acre lake. 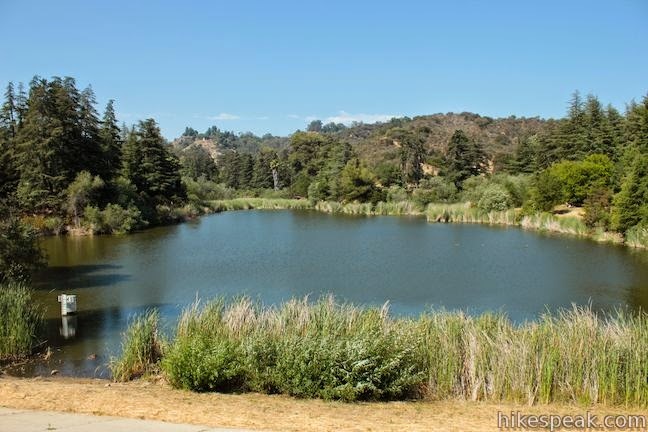 The films It Happened One Night (1934), The Lady Escapes (1937), I Met My Love Again (1938) and even the Hepburn film On Golden Pond (1981) have filmed scenes at Franklin Canyon Reservoir. 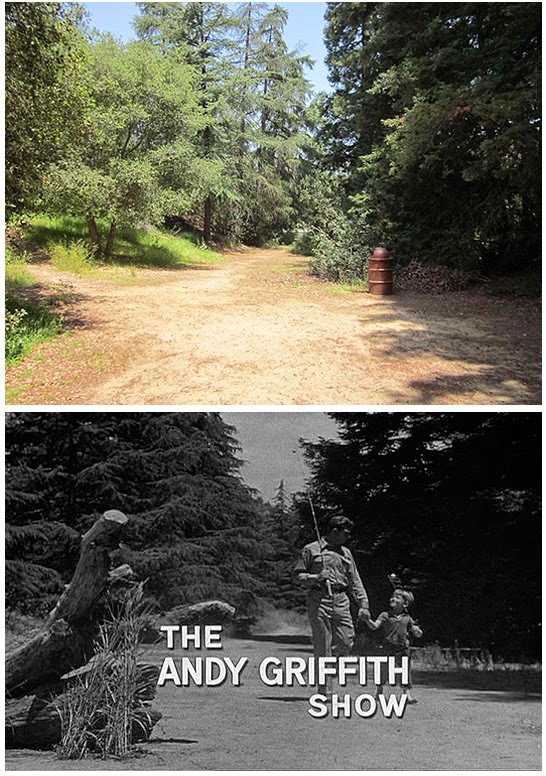 The Andy Griffith Show filmed at Franklin Canyon Reservoir. Source. During Hepburn's years with Spencer Tracy, she would urge him to join her for walks around Franklin Canyon Reservoir. In early 1964, a few months after Tracy had started to recover from a major health scare, Hepburn purchased a police dog named Lobo to encourage Tracy to go on walks at the reservoir. 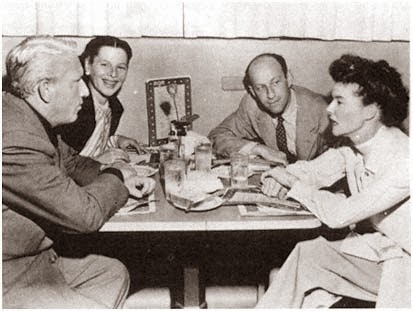 Hepburn's friend, the writer Garson Kanin, in his memoir on Hepburn and Tracy recounts a story in which Hepburn played hero in the rescue of a kidnapped boy during one of her hikes at the reservoir. In 1969, the teenage son of Dr. Simon Ramo, a wealthy aerospace executive living in Beverly Hills, was kidnapped. During Hepburn's hike she heard some yelling. She was then approached by a police officer who had been called out by the reservoir keeper. Kate pointed the officer in the direction of the keeper's house and later the boy was recovered unharmed. One can imagine that Hepburn's involvement was probably played up for dramatic effect. On a side note, during the early 1960s Hepburn's frequent co-star, Cary Grant, participated in supervised medical LSD experiments. Grant was a proponent of LSD "therapy" and claimed that it helped to control his drinking and to come to terms with unresolved conflicts he had about his parents. While praising the benefits of LSD Grant mentioned, "Just a few healthy magnums of LSD in the Beverly Hills reservoir..." So while Hepburn hiked the reservoir Grant found relaxation in the reservoir in his own way. 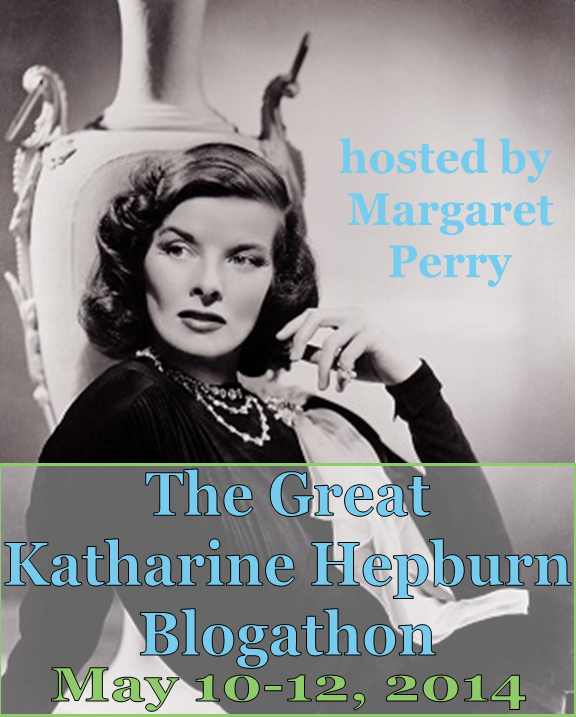 This post is part of The Great Katharine Hepburn Blogathon hosted by blogger Margaret Perry.